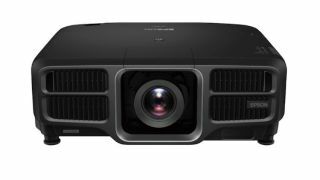 The What: Epson has launched the Epson Projector Professional Tool (EPPT), a software utility that helps users set up multiple Epson projectors and allows access to advanced features such as edge blending, geometric correction, and auto image calibration. The software is free to download and is designed for use with Epson’s Pro L-Series large venue laser projectors. The What Else: The Epson Projector Professional Tool automatically finds and displays all projectors on the network and makes changes easier by allowing users to adjust focus and lens shift, and control basic projector functions, such as turning power on and off or displaying a test image. In addition, the software offers a straightforward graphical interface for the installer right out of the box and allows the user to drag and drop individual projectors to change the image layout.